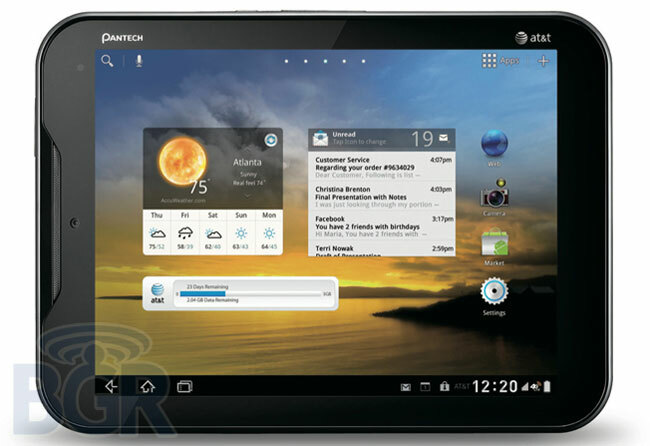 It looks like AT&T will be selling a new Android tablet from next week, the Pantech Element, which features an 8 inch touchscreen display and will come with android 3.2 Honeycomb. Other specifications on the Pantech Element include 16GB of in storage, a 5 megapixel camera which can record HD video in 1080p, and a front facing 2 megapixel camera. It looks like the tablet has some sort of waterproofing or splash proofing, and it will be available with AT&T from the 8th of January for $299 on a new two year contract.